Patients in the Santa Monica, CA, area turn to Dr. Trotter for restorative services including placement of crowns and bridges, restoration of implants, and both partial and full dentures so they feel better about the way their teeth look and function. What are restorative dental treatments? 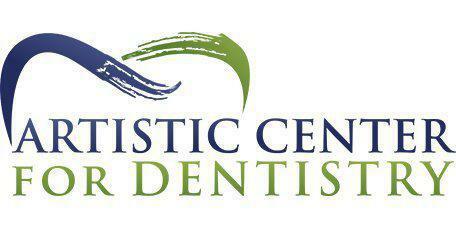 Restorative dentistry is aimed at helping patients replace or restore teeth that have become decayed, damaged or lost. Dr. Trotter offers the most advanced techniques and state-of-the-art materials to perform restorations, including crowns, bridges, dentures and implant restorations, as well as procedures to restore the natural color of teeth. Restoring teeth is important for maintaining a healthy bite pattern and avoiding additional decay or other issues affecting your teeth, gums or jaws. Plus, it improves the way your smile looks so you feel more confident in your appearance. What's involved in getting a dental bridge? A bridge is a dental device that is used to replace one or more missing teeth. The bridge itself is made up of a metal framework and one or more artificial teeth, or crowns, designed to fit precisely in the space and to look just like your natural teeth. Placing a bridge begins with an impression using a special putty to make a mold of the gap left by the missing tooth or teeth. To remain in place, the bridge will be attached to the teeth on either side of the gap. Crowns may be used on these teeth to provide additional strength. Once the bridge is made, it's put in place and gently shaped for the best possible fit. I have a tiny crack in my tooth; do I need to have it repaired? Yes! Even the tiniest cracks or fissures can provide plenty of room for decay-causing bacteria to enter and colonize. Over time, these bacteria will cause decay to form, and left untreated, they can even result in loss of the tooth or bone damage from deep infection. Having regular checkups is the best way to look for tiny cracks and other damage so it can be repaired before more serious problems develop.